Since taking over as Chairman of the U.S. Senate Committee on Environment and Public Works in January, California Senator Barbara Boxer has emerged as a truly bizarre figure in the global warming debate. Making climate change the focus of committee activities, Boxer maintains that "the American people have the will to slow, stop, and reverse global warming." Want to stir up mass hysteria over the liberal bogeyman known as global warming? 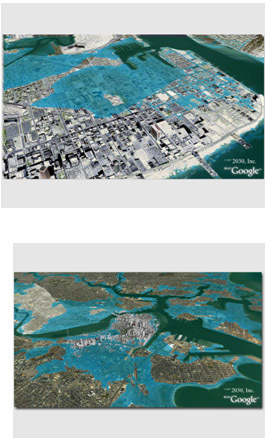 How about publishing computer-generated pictures of American cities drowned as a result of rising sea levels? More than 50% of Russians asked about global warming say they haven’t heard much about it, according to a BBC World Service poll of 22,000 people in 21 countries. The Russian media focus on what seem to be more pressing problems. 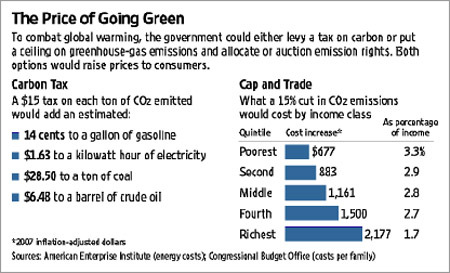 Global Warming Hysteria or Freedom and Prosperity? One can tell – with a high degree of confidence – what topics are expected to be raised here, this morning when it comes to discussing the key challenges of today’s world. The selection of the moderator and my fellow-panelists only confirms it. Is billionaire investor George Soros using environmental pressure groups to block a gold-mining project for his own financial benefit? SAN FRANCISCO (Reuters) – A U.S. federal judge tossed out a lawsuit by California’s attorney general on Monday seeking hundreds of millions of dollars from six automakers for damaging the state with climate-changing greenhouse gases. A landmark decision concerning car companies and global warming was handed down by a federal judge in California on Monday. Yet, most people are likely not going to hear about it, because the ruling goes counter to the media’s agenda. Japanese office workers are being forced to sweat in the name of global warming. But before Americans consume too much "Green" Kool-Aid and suffer a similar fate, they may want to consider this week’s global warming developments. The biggest political battle in Washington over climate change may not pit Democrats against Republicans. Instead, it could be economists versus politicians. Climate change reared its head again last week at the Asia-Pacific Economic Cooperation summit in Sydney, where participating heads of state struggled to reach a consensus on how to reduce emissions of carbon dioxide (CO2).